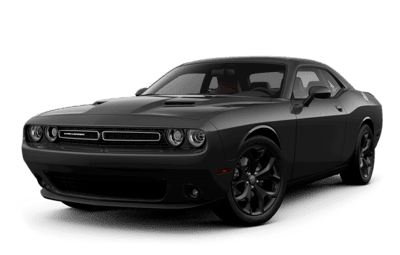 Over the last 47 years, since its inception, the Dodge Challenger created the definitive standard for American muscle cars. 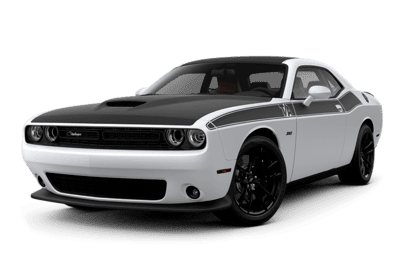 Its design takes cues from some of the most powerful performance vehicles ever created, with its long hood and short tail, front split grille, and modern halo LED headlamps to give it its signature four round headlamps from its 1970s counterpart. It also retains its powerful race-like performance while updating its technology to better fit the modern era. With several trim levels and engines to choose from, the Dodge Challenger delivers by combining its roots with its future. We even put it up against the 2019 Ford Mustang to see how these two muscle cars compare. Come to Great West Chrysler to find out more about our Dodge Challenger inventory stock, as well as how you can customize yours to your preferences. 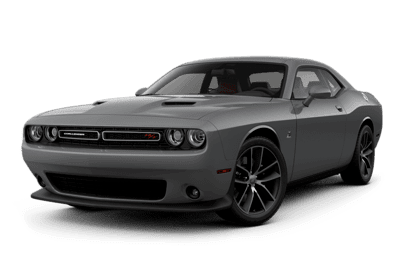 The 2018 Dodge Challenger continues its legacy of power and design. 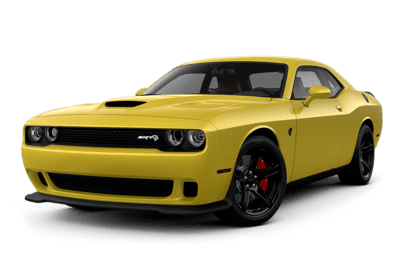 There are eight available engines ranging from the award-winning 3.6L Pentastar VVT V6, which delivers 305 horsepower and 7.8L/100km highway, to the 6.2L Supercharged HEMI SRT Hellcat V8, which goes from 0-100km/h in the mid 2-second range with 770 horsepower. 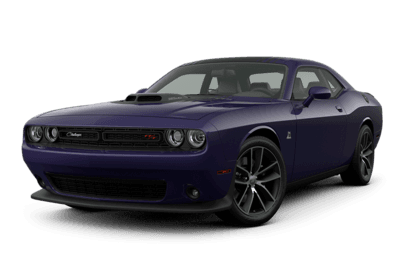 The 2018 Dodge Challenger is available with Drag-Mode Launch Assist, which monitors and controls wheel speed at launch. 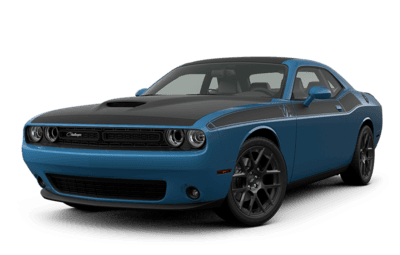 Standard on all models, the TorqueFlite 8-speed automatic transmission continues the refinement of the Challenger. Inside the 2018 Challenger, the cabin can comfortably accommodate five adults. An all-new, high-resolution 7-inch touchscreen controls everything inside your vehicle. The available 8.4-inch Uconnect 4 multimedia centre features Apple CarPlay and Android Auto compatibility. Standard safety features include a ParkView Rear Back-Up Camera, Electronic Stability Control, reactive front head restraints, Keyless Enter n’ Go with proximity entry, and more. Boasting the most powerful HEMI engine on the planet, the Dodge Challenger SRT Demon is both a sight and a sound to behold. 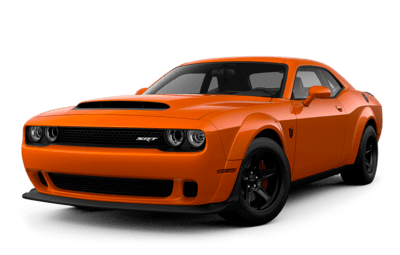 Its 6.2L Supercharged HEMI SRT Demon V8 is the first of its kind, breaking world records on the drag strip with its groundbreaking 840 horsepower and 770 lb-ft. of torque. The Dodge Challenger Demon is also the first production car to feature a transmission brake, letting you pre-load the drivetrain and push you forward with the most adrenaline-pumping acceleration ever felt by human hearts. We’d be remiss to say anything more because words simply can’t do this beast justice.